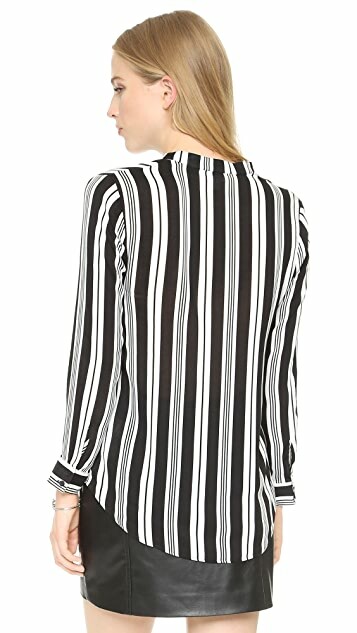 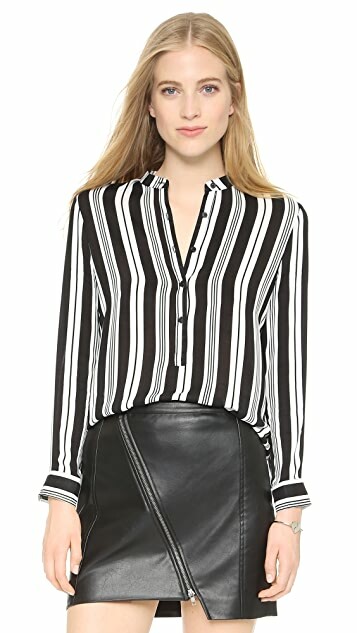 A BB Dakota blouse detailed with bold stripes. 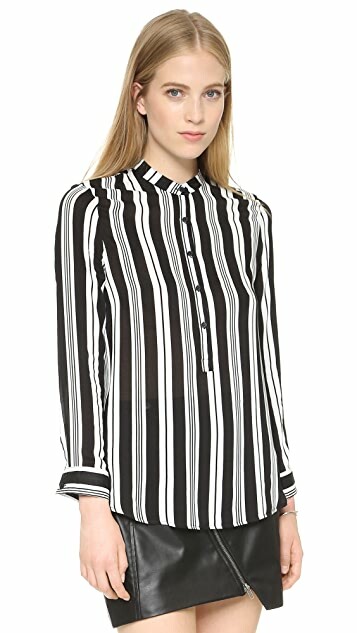 High mock collar and partial button placket. 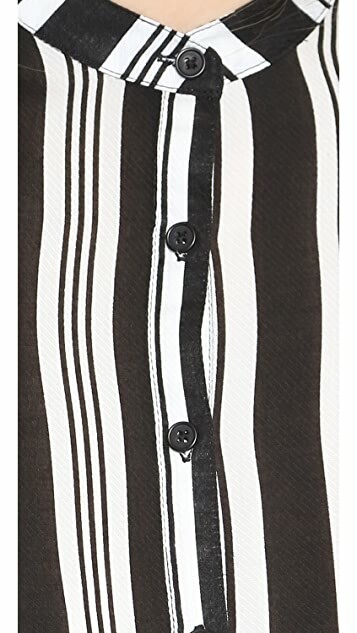 Long sleeves and button cuffs.